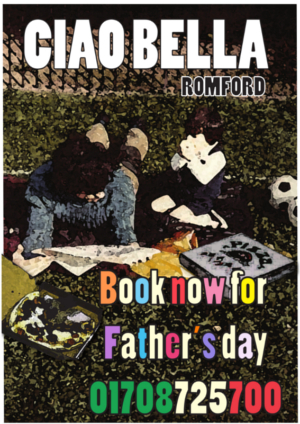 Book now for Father's Day - Sunday, 16 June. Father's Day is fast approaching. Book Now and avoid missing out on dining in Romford's favourite and most loved Italian Restaurant, we sell out quickly so don't waste time. Call us directly or pop in, and we will personally reserve your table and walk you through our new menu and fine wines. We have created a friendly environment suitable for everyone where families can come and enjoy quality Italian foods ranging from stone baked Italian style pizzas, pasta, and regional Italian chef specials. 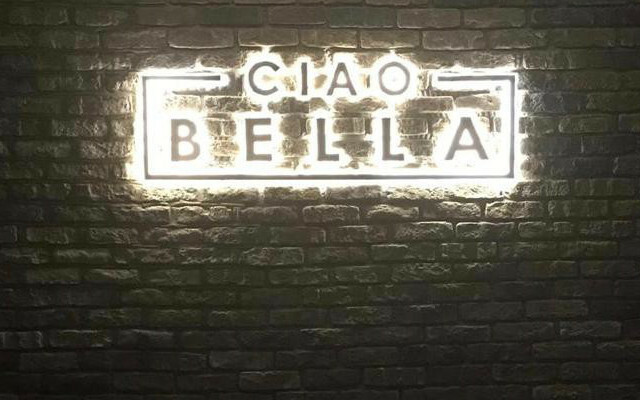 Ciao Bella is a family run restaurant in the heart of Romford's Town Centre. We wanted to bring the taste of real Italy to Havering. We created a place of comfort, like the small trattorias you find in small Sicilian villages. A homely place where you can bring a business contact as well as family. We do not take bookings via email - if you would like to reserve a table please call the restaurant on 01708725700. We have an extensive range of Italian main dishes, Stone Baked Pizzas, Classic and Signature Ciao Bella side dishes including a fine selection of wines and beers. We offer a range of delicious home-made Italian and classic desserts and a myriad of Italian Hot drinks and Liqueur coffees.